The aim of the present study was to assess the effectiveness of the minimally invasive technique pilonidal disease laser treatment (PiLaT) in treating primary (non-recurrent) pilonidal disease in an outpatient setting under local anaesthesia. 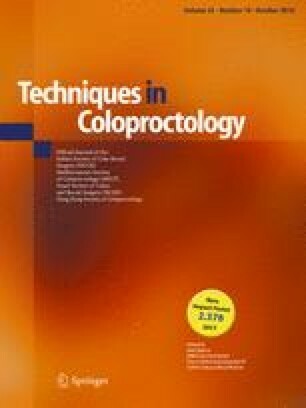 A prospective observational study was conducted on consecutive patients suffering from primary pilonidal disease that were treated at Iasi Private Medical Center, Ioannina, Greece, between April 2015 and December 2016, using a 1.470 nm diode laser (BioLitec, Germany) emitting energy through a radial optic fiber that was inserted in the cyst and accompanying sinus tracts. Patients were discharged half an hour after completion of the procedure. Pain scores [visual analogue scale (VAS)], complications and patient satisfaction were assessed. Follow-up lasted 12 months. There were 60 patients, 51 males and 9 females, with a mean age of 22.7 years (range 15–58). Successful treatment (complete epithelization of cyst and tracts) was documented in 55 out of the 60 patients (92% success rate). VAS pain scores were low and no major complications were recorded. Healing was achieved in 25.4 days (range 17–40) and 53.3% of patients were able to return to work the same day (the rest within 3 days). Of the failures, four patients did not heal and one patient recurred after 5 months. All failures were treated successfully with a second laser procedure except for one who denied re-intervention. Overall patient satisfaction reached 98%. PiLaT seems to be very close to the ideal treatment of pilonidal disease, since it is safe, easy to perform, almost painless and highly effective. All procedures performed in this study involving human participants were in accordance with the ethical standards of the 1964 Helsinky declaration and its later amendments or comparable ethical standards.